2018 CHEVROLET SILVERADO 1500 CUSTOM CREW CAB 4WD 5.3L V8 WITH "EMPLOYEE PRICING" WILL SAVE YOU HUGE $$$$$! WI-FI HOT-SPOT, TOW/HAUL MODE, 6" ASSIST STEPS, 20" WHEELS, TRANSMISSION OIL COOLER, 7" DIAGONAL COLOR-TOUCH SCREEN, REMOTE LOCKING TAILGATE, HID HEADLIGHTS, POWER OPTIONS, REAR BACK-UP CAMERA!!!!!! 2018 CHEVROLET SILVERADO 1500 LT WITH 1LT CREW CAB 2WD 5.3L V8, ALL STAR EDITION, DUAL ZONE A/C, REMOTE ENGINE START, 18" POLISHED ALUMINUM WHEEL'S, LED FOG LAMPS, TRAILERING EQUIPMENT PKG, 8" DIAGONAL COLOR TOUCH SCREEN, BLUETOOTH CONNECTION'S, DAY-TIME RUNNING LIGHTS, PRIVACY GLASS, HID HEADLIGHTS, BACK-UP CAMERA, MUST HAVE TRADE-IN OR CERTS, WI-FI HOT-SPOT, SMART DEVICE INTEGRATION!! LEATHER SEATS, SUN / MOONROOF, BACK-UP CAMERA, FOG LAMPS, SATELLITE RADIO, MP-3 PLAYER, NAVIGATION SYSTEM, HEATED MIRRORS, REMOTE START, SECURITY SYSTEM, KEY-LESS START, MULTI-ZONE A/C + CLIMATE CONTROL, HEATED FRONT SEATS, BLUETOOTH, SMART DEVICE INTEGRATION, TOW HITCH, DRIVER ADJUSTABLE LUMBAR SEAT!!! BEST TIME TO PURCHASE IS NOW!! ### TAKE UP TO $4500 OFF MSRP!! 2018 CHEVROLET SILVERADO 1500 CUSTOM CREW CAB 4WD 5.3L V8...CLOTH SEATS...KEY-LESS ENTRY REMOTE...REMOTE LOCKING TAILGATE...6" TUBULAR ASSIST STEPS...WI-FI HOT-SPOT...TOW HOOK'S...SMART DEVICE INTEGRATION...HEATED MIRROR'S...HID HEADLIGHT'S...7" DIAGONAL COLOR TOUCH SCREEN...REAR BACK-UP CAMERA...EXTRA SHARP!!! 2018 BEST BUY AWARD! LEATHER, SUN / MOON-ROOF, REAR BACK-UP CAMERA, BLUETOOTH CONNECTION, SMART DEVICE INTEGRATION, POWER LIFT-GATE, LED FOG LAMPS, HEATED MIRRORS, SECURITY SYSTEM, REMOTE ENGINE START, POWER LIFT-GATE, SECURITY SYSTEM, EXTRA SHARP!! #### TAKE UP TO $4500 OFF MSRP!!! 0.9% X 36 MONTHS OR 1.9% X 60 MONTHS FINANCING W.A.C. / PREMIUM LEATHER SEAT'S, SUN / MOON-ROOF, FOG LAMPS, 3RD ROW SEATS, ALL NEW DESIGN, REAR SPOILER, POWER LIFT-GATE, ADAPTIVE CRUISE CONTROL, KEY-LESS ENTRY AND START, EXTRA SHARP!! !2019 KELLY BLUE BOOK BEST RESALE VALUE AWARDS! ALL NEW "PASSPORT TO ADVENTURE" 2019 Honda PASSPORT TOURING 2WD 3.5L V6 WILL TAKE YOU PLACES YOU'VE NEVER BEEN BEFORE. YOU WILL ENJOY THE INTERIOR ROOM, THE DRIVE AND SPORTY GOOD LOOKS! REMOTE ENGINE START, ADAPTIVE CRUISE, HANDS-FREE LIFT-GATE, REAR PARKING AID'S, BACK-UP CAMERA, BLIND SPOT MONITOR, PREMIUM SOUND SYSTEM, NAVIGATION SYSTEM, CROSS-TRAFFIC ALERT, SECURITY SYSTEM, SPORT WHEELS!! ALL NEW "PASSPORT TO ADVENTURE", 2019 Honda PASSPORT TOURING 2WD 3.5L V6 WILL CAUSE YOU TO "FALL IN LOVE" ALL OVER AGAIN! NAVIGATION SYSTEM, REAR SPOILER, MP-3 PLAYER, SECURITY SYSTEM, FOG LAMPS, HEATED SEATS, SUN / MOON-ROOF, BLUETOOTH CONNECT, LED FOG LAMPS, HANDS-FREE POWER LIFT-GATE, ADAPTIVE CRUISE CONTROL!! 0.9% X 36 MONTHS OR 1.9% X 60 MONTHS FINANCING W.A.C. / PREMIUM LEATHER SEATS, MP-3 PLAYER, REAR SPOILER, HEATED MIRRORS AND FRONT SEATS, BLUETOOTH WITH SMART DEVICE!! 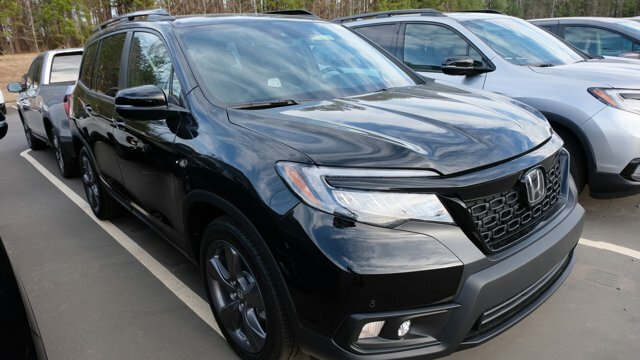 ***** 5-STAR SAFETY RATING / ALL NEW 2019 Honda RIDGELINE RTL-T 2WD 3.5L V6 / SUN / MOON-ROOF / BED-LINER / NAVIGATION SYSTEM / FOG LAMPS / H.D. SATELLITE RADIO AND MULTI-ZONE A/C + CLIMATE CONTROL / MP-3 PLAYER + BLUETOOTH CONNECTION / DAYTIME RUNNING LIGHTS / SECURITY SYSTEM / REAR BACK-UP CAMERA / REMOTE ENGINE START / TRACTION AND STABILITY CONTROL / PRIVACY GLASS / REMOTE TRUNK RELEASE / EXTRA SHARP!! #### TAKE UP TO $4000 OFF MSRP!! PREMIUM LEATHER BUCKET SEATS, ALL NEW DESIGN AND VERY QUIET RIDE, FOG LAMPS, REAR SPOILER, POWER LIFT-GATE, BACK-UP CAMERA, H.D. SATELLITE RADIO, 3RD ROW SEATS! LEATHER BUCKET SEATS, SUN / MOON-ROOF, REAR SPOILER, BACK-UP CAMERA, ALL NEW DESIGN, HEATED MIRRORS, POWER LIFT-GATE, FOG LAMPS, H.D. SATELLITE RADIO AND MUCH MORE!! LEATHER SEATS, SUN / MOONROOF, REAR SPOILER, BACK-UP CAMERA, REMOTE ENGINE START, HEATED SEATS AND MIRRORS, PRIVACY GLASS, KEY-LESS ENTRY AND START, MULTI-ZONE A/C + CLIMATE CONTROL, ADAPTIVE CRUISE CONTROL, SECURITY SYSTEM!! ### 2.9% X 36 MONTHS OR 3.9% X 60 MONTHS FINANCING W.A.C. WILL SAVE YOU BIG $$$$ BUCKS!! SUN / MOON-ROOF / REAR SPOILER / POWER LIFT-GATE AND SLIDING DOORS / MP-3 PLAYER / ADAPTIVE CRUISE CONTROL / CROSS-TRAFFIC ALERT / BLUETOOTH CONNECT AND LANE DEPARTURE WARNING!!! 2019 FORD TRUCK MONTH IS FULL OF $$$$$ SAVINGS!! 2019 CHEVROLET TRAVERSE LT W/3LT FWD 3.6L V6 WITH PREMIUM LEATHER SEATS, H.D. COOLING SYSTEM, SECURITY SYSTEM, 8" DIAGONAL COLOR -TOUCH SCREEN, BLUETOOTH STREAMING, 3RD ROW SEATS, HEATED FRONT SEATS, REAR PARKING AID, CROSS-TRAFFIC ALERT, BLIND ZONE ALERT, REMOTE ENGINE START, MULTI-ZONE A/C + CLIMATE CONTROL!! 2019 CHEVROLET COLORADO LT CREW CAB 4WD 3.6L V6, REMOTE ENGINE START, E-Z LIFT AND LOWER TAILGATE, FOG LAMPS, TOW HOOKS, SMART DEVICE, BLUETOOTH CONNECT, BACK-UP CAMERA, SATELLITE RADIO, WI-FI HOT-SPOT, KEY-LESS ENTRY, TRACTION AND STABILITY CONTROL!! 2019 GMC CANYON SLE CREW CAB 4WD 3.6L V6 WITH SLE CONVENIENCE PKG, REMOTE VEHICLE START, REAR SLIDING WINDOW, HEATED FRONT SEATS AND STEERING WHEEL, 8" PREMIUM COLOR-TOUCH SCREEN, SECURITY SYSTEM,KEY-LESS ENTRY, DAYTIME RUNNING LIGHTS!! 2019 GMC ACADIA SLE W/SLE-1 FWD 3.6L V6, DRIVER ALERT PKG, EXTRA POWER OPTIONS, REAR PARKING ASSIST, LANE CHANGE ALERT,BLIND ZONE ALERT, SECURITY SYSTEM, TRIP COMPUTER, HEATED MIRRORS, POWER LIFT-GATE, 3RD ROW SEATS, LED FOG LAMPS!! 0.9% X 36 MONTHS OR 1.9% X 60 MONTHS FINANCING W.A.C. / ALL NEW DESIGN WITH ALL THE BELLS AND WHISTLES! YOU WILL BE IMPRESSED! LOT'S OF ROOM AND LUXURY AT IT'S FINEST!! 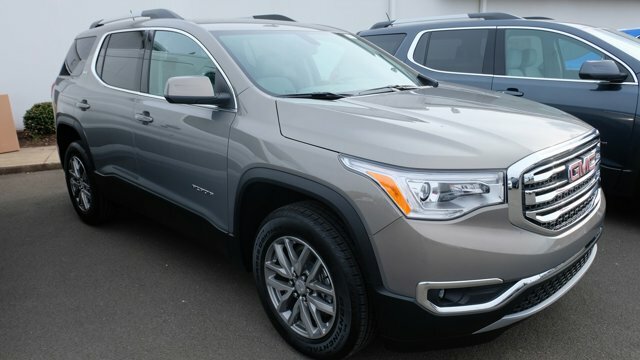 2019 GMC ACADIA SLE W/SLE-2 FWD 3.6L V6 / LANE CHANGE ALERTS, REAR PARKING ASSIST,REAR CROSS-TRAFFIC ALERT, REAR BACK-UP CAMERA, 7" DIAGONAL COLOR TOUCH SCREEN!! 0.9% X 36 OR 1.9% X 60 MONTHS FINANCING W.A.C / EX-L IS LOADED WITH ALL THE BELLS AND WHISTLES!! ALL NEW 2019 RE-DESIGNED FACE-LIFT AND IT LOOKS AWESOME!!! 0.9% X 36 MONTHS OR 1.9% X 60 MONTHS FINANCING W.A.C / EXTRA POWER OPTIONS / TRIP COMPUTER / PREMIUM LEATHER SEATS AND SOUND SYSTEM / HONDA SENSING / LED FOG LAMPS / POWER LIFT-GATE / BACK-UP CAMERA / ADAPTIVE CCRUISE CONTROL!! !